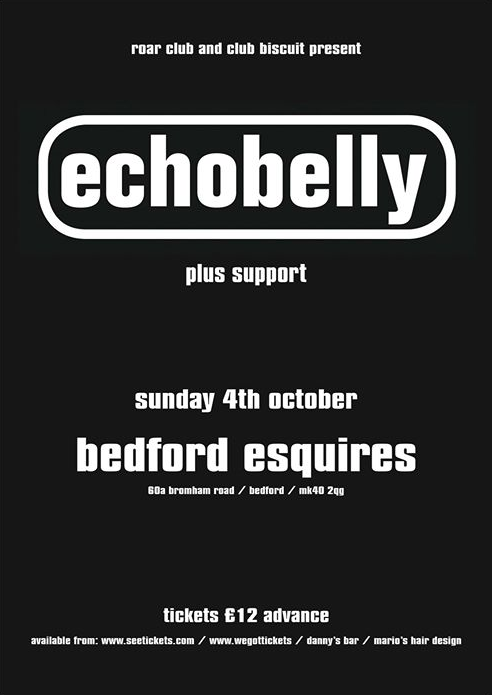 Ahead of their upcoming show on October 6th at Scala in London, Sonya, Glenn and the rest of the group have agreed to play a special intimate warm up show at Bedford Esquires, a venue they last played in 1994! Expect all the hits – Great Things, I Can’t Imagine the World Without Me, King of the Kerb, Dark Therapy etc. Please note this is NOT an acoustic performance – it’s a full electric show which will no doubt featuring mass singalongs, furious dancing and grown men in Fred Perry polo shirts reminiscing about their lost youth. We can’t wait. Tickets are £12 in advance, available now from seetickets and wegottickets.